Stormwater management planning for a multi-phase church and school development near Green Bay, Wisconsin. Pursuant to local and regional codes, the overall stormwater management plan is based on the controlled removal of collected rainwater (limited to 1.0 cfs per acre of property) and will include detention structures to accommodate a 25-year storm event. Detailed site plans and run-off calculations were also required to meet D.O.T. regulations, since the property is located adjacent to a state highway. 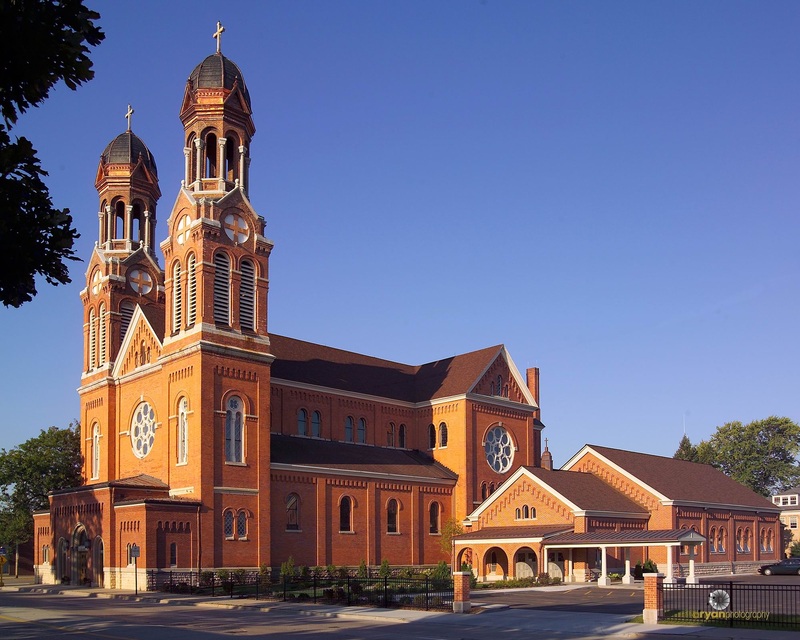 Complete mechanical and plumbing system design, as well as scope fire protection design, for a new addition to the St. Francis Xavier Cathedral in Green Bay. Mechanical design incorporates existing services for the church, while providing independent systems for the new occupancy. In addition to providing a new air-cooled chiller for air conditioning of the entire facility, the new design also focuses on specific temperature and humidity control for a lower level museum area. All systems, including plumbing, incorporate specific components for sound attenuation and system control. Complete MEP design services for a church renovation project in Ashland, Wisconsin. Overall project services include stormwater management, a complete roof replacement, a complete replacement / upgrade of electrical systems throughout the building, new restrooms, new meeting rooms, exterior landscaping, and a new building entrance to accommodate ADA access.